While we appreciate the 30-day money back guarantee, there's not much that's noteworthy about 88Herbs Sleep-X, except that there's little to go on in terms of actual customer feedback. It may be a viable alternative for sleep-deprived people sensitive to Valerian root, though. 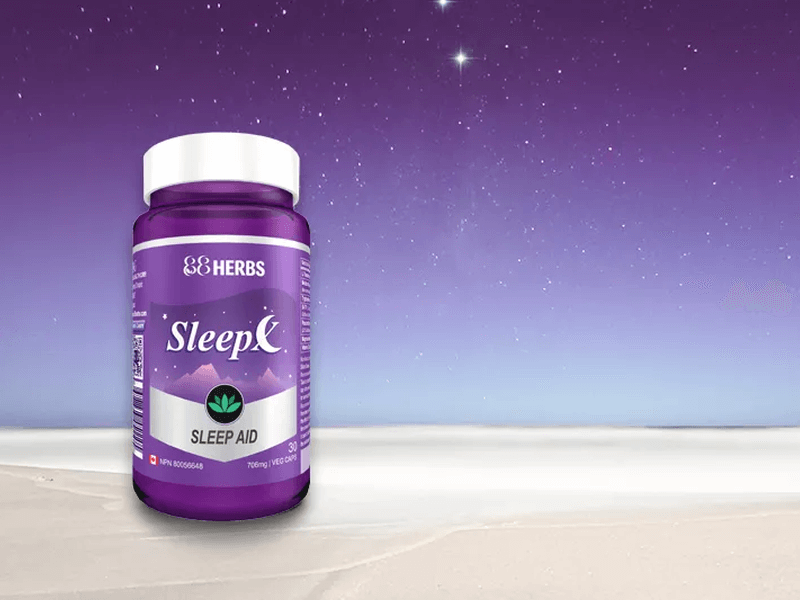 Sleep-X maker 88Herbs is owned by BB&G Health, a Canadian corporation headquartered in Ontario. Unlike Vancouver-based Nested Naturals, which does product design in their locale but manufactures everything in the US, BB&G Health does everything in Canada. Established in 2013, 88Herbs is their sole brand line. Apart from Sleep-X, there are six other dietary supplements under 88Herbs: Ashwagandha, L-Theanine, Magnesium Bisglycinate, Rhodiola Rosea, 5-HTP, and Zen+. The first five are part of what 88Herbs calls their “Zero Series”: a line of single-ingredient products with no additive and other agents. This means that there are no animal products, allergens, or even magnesium stearate—what the industry calls a “flow agent”, as it is added so other ingredients don’t stick to manufacturing equipment. Sleep-X and Zen+ are made with the same commitment and promise, although they are different because they are proprietary blends that contain different components. Sleep and mood support seem to be what 88Herbs is built on. The single-ingredient supplements all function in various ways to promote relaxation, as well as reduce stress and anxiety; but over half of them are typical all-natural sleep aid blend components. Speaking of blends: Zen+, which is formulated to improve your mood, even contains ingredients we often see in sleep aids. However, Sleep-X is their flagship dietary supplement for sleep support. 88Herbs Sleep-X is a potent dietary supplement that helps you relax, fall asleep faster, sleep soundly all throughout the night, and wake up the next morning feeling energized. In other words, it’s meant to regulate your sleep-wake cycle and help you achieve or maintain good sleep health. Because of this, the Canadian sleep aid formulation also works well when you use it after experiencing jet lag. Sleep with 88Herbs Sleep-X is meant to be deep, restorative and pleasant; which is why there are components of the blend that address more than just sleep onset and duration. Like many other melatonin-based sleep aids in the market, Sleep-X contains ingredients that target physical and mental blocks that keep you from slipping into slumber. Because there are several ingredients in this blend, it is very important that you consult your personal physician before taking 88Herbs Sleep-X—as you should before taking any drug, vitamin or supplement. It helps that 88Herbs explains each component in detail and has literature about their processes that you can read on their official website; but a healthcare professional that is familiar with you and your medical history is the best person to evaluate the potential effects of anything you add to your daily routine, positive or negative. 88Herbs Sleep-X is made up of amino acids, herbal extracts, a hormone, a vitamin, and a mineral. They come in vegetarian capsules, too. Trust us, it’s simpler and more familiar than it sounds—many of these ingredients are found in other sleep aids that we’ve already reviewed! Let’s look at each component in detail. First and foremost, of course, is the hormone: Melatonin. It’s produced naturally within the human body and is used to keep our circadian rhythm functional and healthy; the trouble is that we usually need more of it because the modern human has habits that interfere with natural production of the hormone. This is why we have trouble falling asleep quickly in the first place. To remedy that, each capsule of 88Herbs Sleep-X contains 1.5 mg of premium grade Melatonin; a relatively small amount compared to some other sleep aids that contain twice as much in each capsule, like Nested Naturals LUNA and Zenwise Health Sleep Support. 88Herbs Sleep-X uses Passionflower, unlike most sleep aids that feature Valerian Root as their main herbal component. Also found in Source Naturals NightRest and Vitafusion Melatonin, Passionflower is a North American native plant that is well-known and well-studied as a muscle relaxant, sedative, and anxiolytic. In this formulation, it works to quiet the mind and body; in order to help you sleep soundly. Then there are the amino acids: L-Theanine, 5-HTP, and L-Tryptophan. Though L-Theanine and 5-HTP are both amino acids, they are derived and extracted from plants. L-Theanine is found in green tea and is known for its calming properties; like Passionflower, facilitates health GABA activity. 5-HTP, on the other hand, is found in African shrub Griffonia simplicifolia; although it also occurs naturally in the body as a byproduct of L-Tryptophan, which we’ll get to in a moment. 5-HTP’s function is to raise serotonin levels in the human body. In controlled doses, 5-HTP not only provides a feeling of optimism and happiness, but also a pleasant feeling of sleepiness. Now, let’s look at L-Tryptophan, which is also an ingredient of 88Herbs Sleep-X. You’re more familiar with it than you think; it’s the amino acid that’s responsible for that drowsy feeling you get when you eat a good amount of Thanksgiving turkey. In Sleep-X, it complements 5-HTP and Melatonin well; and according to 88Herbs, it’s there for less sleep interruptions and less grogginess upon waking up. Vitamin B3 in the form of Niacinimide is added to all of this, as well as Magnesium Bisglycinate; both work to support the relaxing and calming functions of the other ingredients. These two specific varieties of Vitamin B3 and Magnesium demonstrate great bioavailability, which means that they are absorbed more effectively by the human body than other versions. 88Herbs recommends a dosage of one or two capsules before bedtime. Particular instructions are included for the supplement’s use as a jet lag remedy, too: “Once a day at the new bedtime”, until your sleep pattern adjusts to the new time zone. This suggests that the brand does not market Sleep-X for long term use, which is comforting; many counterparts indirectly do this, but sleep aids should never become a habit! Otherwise, its effectiveness will suffer. Good sleep hygiene should always be the cornerstone of good sleep quality, not medication. All the typical warnings apply, and should be expected. After dosing, do not operate machinery or drive. And while this doesn’t appear on the label, it’s worth following, as well: Don’t use if you are pregnant, nursing, or suffering from a medical condition—especially one that requires maintenance medication. There is no warning against the use of this product by children, but please do consult a doctor before giving this to a child. If you are looking for a mild sleep aid, you may want to consider a half dose of one capsule—or maybe one of 88Herbs’ other products instead. Sometimes trouble sleeping has less to do with a Melatonin imbalance, and more to do with your mental state. 88Herbs Sleep-X addresses both instances, but what if you just want to improve your mood and relax, so you can fall asleep on your own? This is likely exactly what 88Herbs was anticipating when they first came out with their Zero Series. Three Sleep-X components—L-Theanine, Magnesium Bisglycinate, and 5-HTP—are available as single-ingredient supplements under the 88Herbs brand. You may want to check them out if Melatonin or a multi-ingredient blend is not what you are looking for at the moment. There are no side effects noted, either on the official website or in the handful of customer reviews we found online. Because the brand and product are so new, it’s not unnatural to have a lack of information about this elsewhere; but the official website should at least mention something about it. The real problem lies in the lack of an extensive 88Herbs FAQ. While there is content about the ingredients and the formulation, there is no quick way to look for details at a glance. 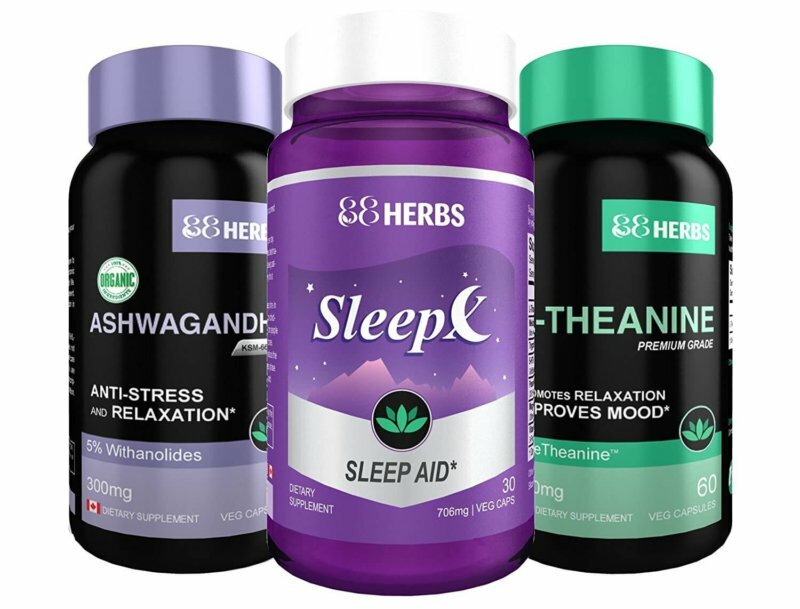 You can purchase 88Herbs Sleep-X on the brand’s official website, as they have an online store. 88Herbs products are also listed for purchase on Amazon. 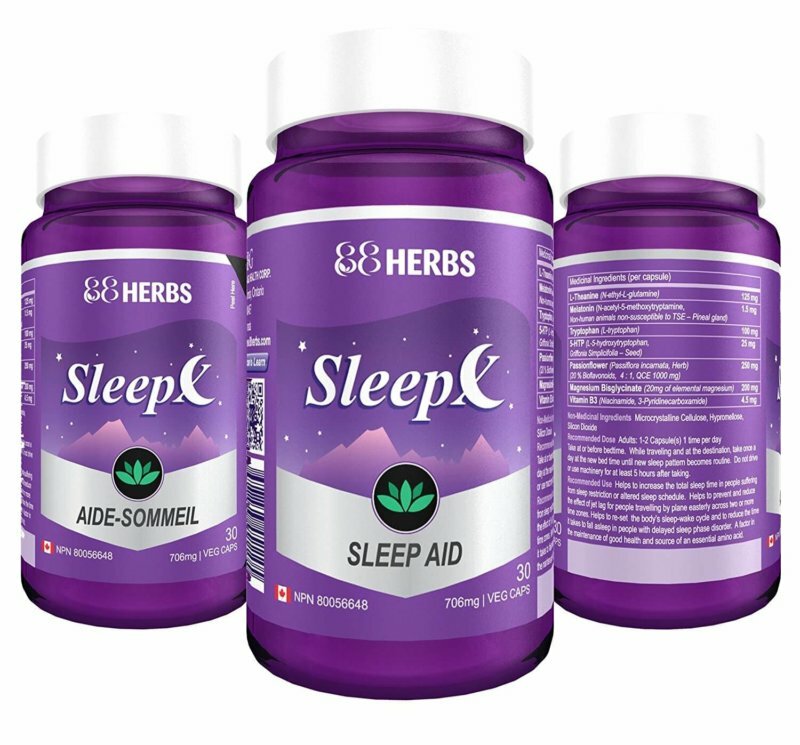 There is no physical store locator on the site; Sleep-X and other 88Herbs products seem to only be available online, or at least harder to find otherwise. While there is a wealth of information about what 88Herbs is about, there’s not much online about the parent company, BB&G Health. We’re not able to evaluate promise and potential based on anything other than what 88Herbs tells us through their website; and that’s not a lot. 88Herbs posts information about their products and the ingredients and processes behind them; but not much about themselves. On one hand, this means that they let the products speak for themselves; but on the other, this means that there’s no added come-on for potential customers that want to be very sure about what they put into their bodies. There’s no press release, no “in your face” marketing, or even information about the company founders to add to your decision-making process. This is bothersome for us, as we typically put a lot of stock into company reputation and transparency. 88Herbs states that they search across the globe to find the purest, best quality raw materials to put into their products. They oversee and have control over the whole supply chain, from farm to manufacturing facility to final product. While there are no quality assurance details available, 88Herbs is GMP certified—which is in accordance with the FDA—and recognized by the Canadian Health Food Association. Customer reviews are middling to positive. It is important to note here that we based this on Amazon customer reviews—of which Sleep-X has just a hair above a dozen—as there are no reviews or comments on the brand’s online store. There are no specific complaints; most negative reviews simply said that the product didn’t work as intended, or was not strong enough. Customer Support is good enough. No live chat or very active social media accounts, but there are toll-free numbers and an email. There’s even a contact form on the official website. The best part about 88Herbs customer support, though, is the 30-day money back guarantee. While not the best in the industry—some competitors offer a lifetime guarantee—it’s a great way to encourage customers who may be on the fence and unsure about ordering something from a new brand. To avail of the guarantee, all you need to do is contact 88Herbs and send back the product you didn’t like within 30 days of receiving it. While you do incur shipping costs to send the product back to Canada, you will get a full refund of the total order plus original shipping cost. 88Herbs Sleep-X comes in a bottle containing 30 capsules—enough for two weeks or one month of continuous use, depending on your preferred dosage. As of this writing, the price point for one bottle on the official website is 26.45 CAD, or $21.20 in US currency. On Amazon, the same can be bought for $18.95. What we like the most about 88Herbs is their approach to the whole dietary supplement industry. They seem to lead with their product line, and not with their brand or company reputation; which is a little difficult to do if you’re not an established name, but noteworthy because it follows that there’s much trust and confidence in the products. However, we would appreciate more information about the company and about their practices. The small number of customer reviews is also a little alarming, though we don’t know if that’s simply because of a lack of marketing savvy. While Sleep-X is relatively new and a little bit more expensive than its counterparts, there is a 30-day money back guarantee that you can fall back on if you find that you aren’t satisfied. Considering the price point and the specific instructions of the guarantee, Sleep-X is an attractive option especially for Canadian and other North American residents–but not so much otherwise. If you find the formulation very applicable to your sleep health needs, by all means try it; but know that there are far less expensive options. It is nowhere near noteworthy or innovative enough to pick over a tried, tested and reliable sleep aid.